Smoking: Smoking doubles your risk of getting heart disease. It also increases the risk of other long-term complications esp. in diabetic patients. In addition, smoking can damage the blood vessels in your legs and increase the risk of amputation. Q. 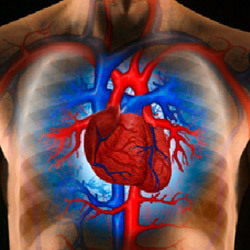 What are the symptoms of heart disease? One sign of heart disease is Angina, the Chest pain or discomfort (centre of the chest) that occurs when a blood supply to the heart is reduced. The pain may radiate to shoulders, arms, neck and jaw etc. The pain gets relieved on taking rest or by taking anti-anginal medicine (e.g. sorbitrate etc). 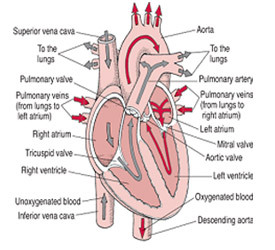 Angina does not cause permanent damage to the heart muscle. 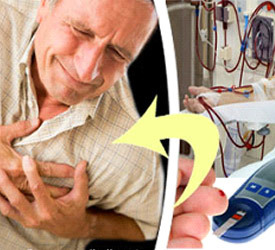 Heart Attack occurs when blood supply to a part of the heart stops due to blockage of blood vessel which supplies blood to the heart muscle and permanent damage results. The patient may have shortness of breath, sweating, nausea and light-headedness. Always check your risk for heart disease at least once a year by checking your risk factors for heart attack as mentioned above and get them treated at the earliest possible. 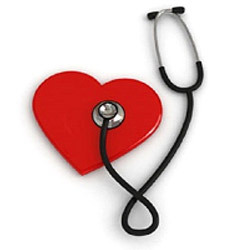 Treatment includes a healthy diet, physical activity and medicines to treat heart damage. You need to lower your blood glucose, blood pressure and cholesterol. You may need to take Nitrates, Statin, Beta-blockers, ACE inhibitor or low dose of Aspirin. Q. What can I prevent heart disease? Make physical activity a part of your daily routine. Do at least 30 minutes of exercise at least 5 days a week. Take some medicines as advised by your doctor e.g. Aspirin, Statin and ACE inhibitors. TIME is MUSCLE, GET PROMPT TREATMENT & SAVE YOU HEART !